The material that makes up your guitar pick affects the tone and sound the axe makes. Any player worth his salt will tell you as much. And some people will swear by the sound that using coins, or quarters as picks will give them. But they’ll also warn you that your strings will quickly suffer the wear and tear of the un-smooth edge of the coin. 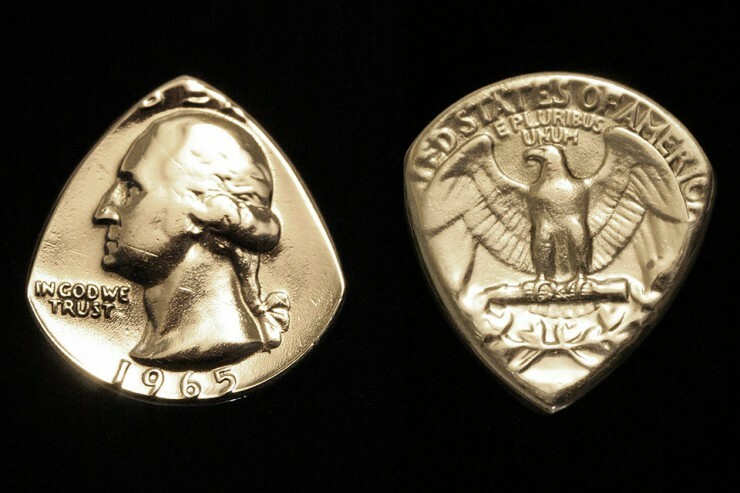 The above Coin Guitar Picks aim to fix that by providing the same sought-after tone of an unadulterated coin, with the silky smooth edge of a traditional pick. Ranging in price from $10 to $30, they make the perfect gift for the musician in your circles.